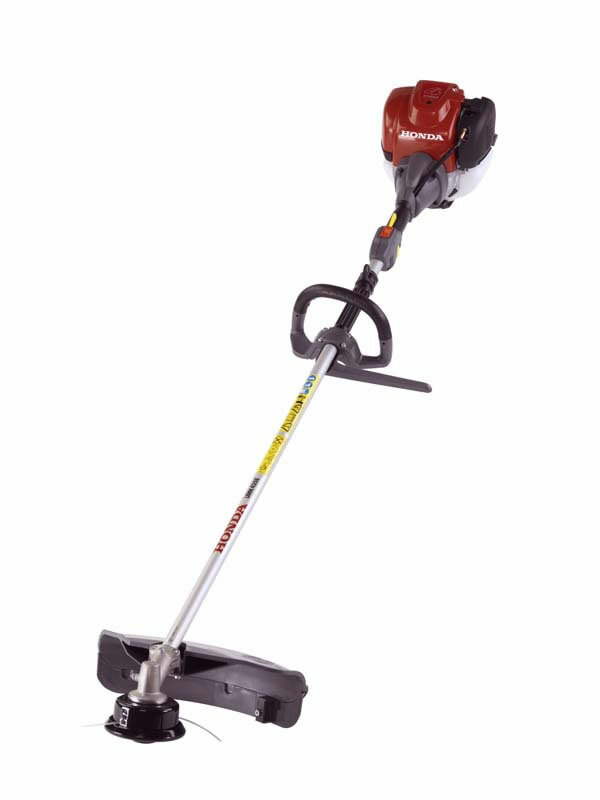 This Honda Petrol Brushcutter is a more powerful machine than the 425 series. The 35cc Honda UMK 435 LE features a revolutionary mini 4-stroke engine offering unrivalled smooth and quiet operation. A convenient D-loop and barrier bar type handle ensuring control with safety. For thicker and more demanding undergrowth, the Honda UMK 435 LE features the easy starting, quiet and ultra-efficient 35cc 4-stroke engine, with a robust yet lightweight design for real go-anywhere performance. Honda's 4-stroke technology means first-time starting with no mixing of fuel and oil needed, and the unique lubrication system also allows the brushcutter to be used and stored through a full 360º incline without damage to the engine. Simple and compact control, with a comfortable soft skin. This powerful yet ultra-quiet, smooth and efficient 4-stroke starts first time with no mixing of fuel and oil needed. Allows the brushcutter to be used and stored through a full 360º incline.